THAI VISA’S INCOME INCOME FROM FORGERS? GET YOUR FAKE OR REAL PASSPORTS HERE! ThaiVisa.com the largest web forum in Thailand should, as readers of this site already know, be more circumspect about its advertisers. There are many sharks advertising on its pages. And the site appears to be favourited not least of all by those who arrive in Thailand and re-invent themselves as much greater beings than the former low lives they used to be. 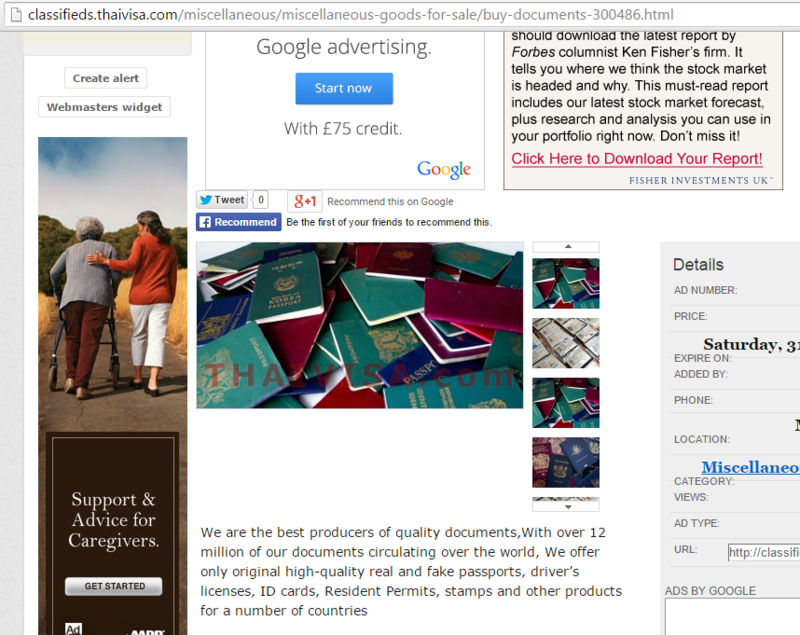 You can, it appears, fit yourself up with almost any document you like , it’s claimed, if you reply to this advert on ThaiVisa. Wait…real passports too! Got to to be something wrong there surely! But this is Thailand of course and we cannot be all that surprised. George Andersson, or Lars Jannson, whatever you want to call him, will have to take a break in June from tippling at his home at Orchid Palm Villas in Hua Hin to attend a case brought against him for fraud. It’s alleged he or an accomplice forged the signature of his partner British property market man Grahame Beecham in ThaiVisa Property which they set up together – but of which Beecham got just one per cent. I see the link has been removed on Thaivisa – but since you have a pdf copy you might want to send to to the relevant authorities. 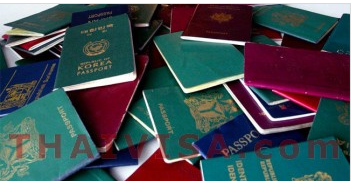 Illegal passports the stock-in-trade for terrorists and people smugglers… surely worth a nod in the right direction. What would it cost George/lars is thaivisa.com joined Andrew – drummond.com on the banned list…. I agree. Could someone please help out here, by giving authorities / court officials all this information which Andrew Drummond and Stickman has found out? Most notably, that George Anderssen and Lars Jansson is the same person. Court date was set to 22 of June, Hua Hin, that's what I know.